The U.S. participants in the 2013 U.S. Congress - Republic of Korea National Assembly Exchange Program meeting the Chairman of the Committee on Foreign Affairs, Trade, and Unification. For the past 21 years, Meridian International Center has had the pleasure of implementing the U.S. Congress – Republic of Korea National Assembly Exchange, a unique program designed to broaden the perspectives of Korean and American young people on the legislative process; the history of U.S. – Korean relations; and current economic, political, and security aspects of the bilateral relationship. Jointly funded by the U.S. Department of State’s Bureau of Educational and Cultural Affairs and by the Committee on Foreign Affairs, Trade, and Unification of the Korean National Assembly the exchange has seen over the years some 340 Americans and Koreans rising leaders utilize their exchange experience to positively reinforce American and Korean relations. 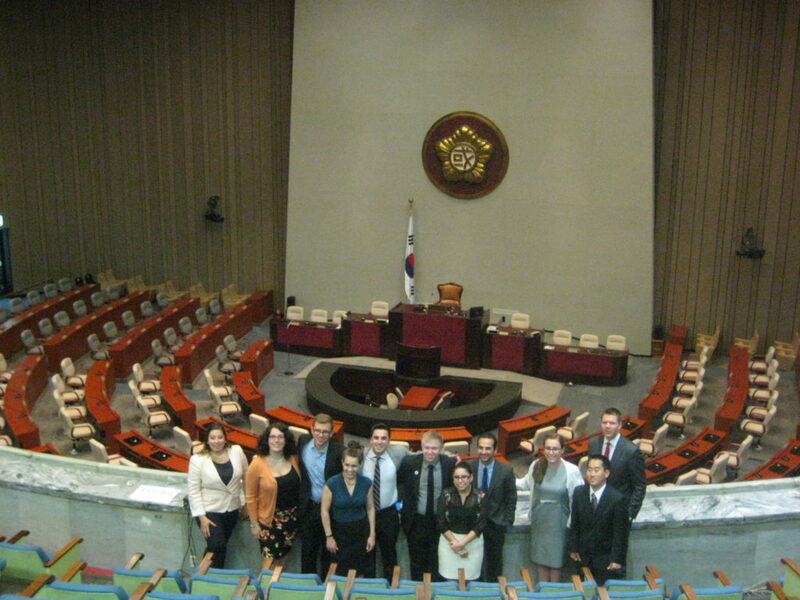 The U.S. participants in the 2013 U.S. Congress – Republic of Korea National Assembly Exchange Program pictured in the Proceeding Hall of the South Korean capitol building. To mark the 20th Anniversary of implementing the program, Meridian conducted a longitudinal study, surveying alumni from the 2007-2017 programs to assess how this exchange has impacted both the American and Korean participants. 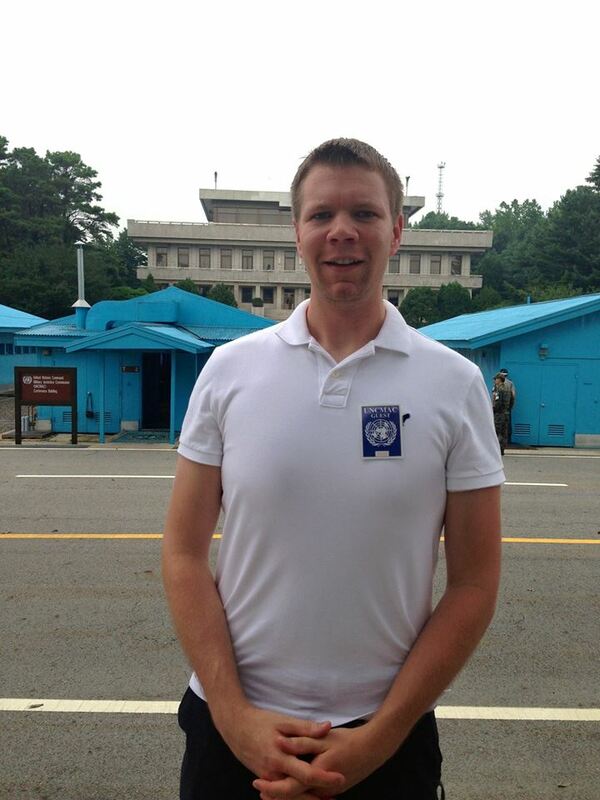 Joseph Schmoll with North Korea in the background while visiting the DMZ as part of the program. Joseph Schmoll, an alum of the 2013 U.S. Congress – Republic of Korea National Assembly Exchange Program, was one of the participants who took part in the longitudinal study. In April of this year, he also visited Meridian to meet with the program team and to reflect on how the program affected him both personally and professionally. As Joseph’s first international experience, the 2013 Program provided a unique opportunity to experience Korean culture with his peers and to dive into the legislative process of the Republic of Korea. During his visit to Meridian, Joseph also talked about how amazing it was to see first-hand how South Korea has overcome the economic difficulties caused by the Korean War and how, in a relative short period, has become a regional economic leader. It shows how disciplined the country has become, and how quickly they have become affluent to the world around them. Joseph stated. According to the KOICA (Korea International Cooperation Agency), South Korea was the beneficiary of various forms of international aid in the past, but now acts as a large donor of aid through the United Nations. 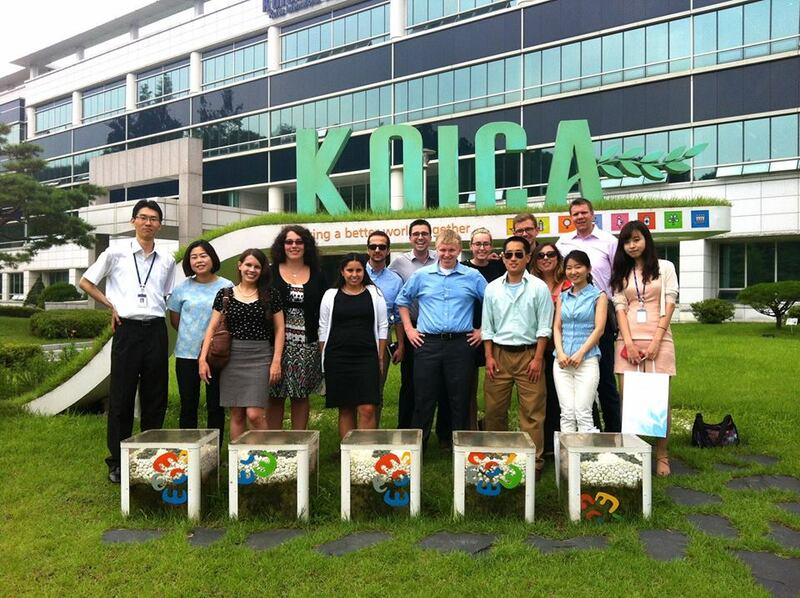 Joseph pictured on first on the right in the back row along with the other members of the U.S. delegation after visiting the Korean International Cooperation Agency – KOICA. One of the most impressive aspects of Korean culture, Joseph says, is the people-to-people diplomacy. People in the United States tend to think about [diplomacy] in one way. However, I find that there are more ways than one to practice diplomacy. They are just different than what we are used to. Moreover, he took time to observe how open the society in South Korea has become, specifically during a small protest against American agricultural products that took place during the group’s visit. Because of this exchange program, Joseph is now motivated to travel more and to experience different cultures throughout the world. From the survey, the majority of participants express positively about recommending the program to others. 100% of the American participants and 99% of the Korean participants would recommend this program to others. This article is the first in a series of four highlighting the personal stories and the impact of the U.S. Congress – Republic of Korea National Assembly Exchange Program on its American alumni. This article is jointly written with Atlas Corps Fellow Jenny Park. 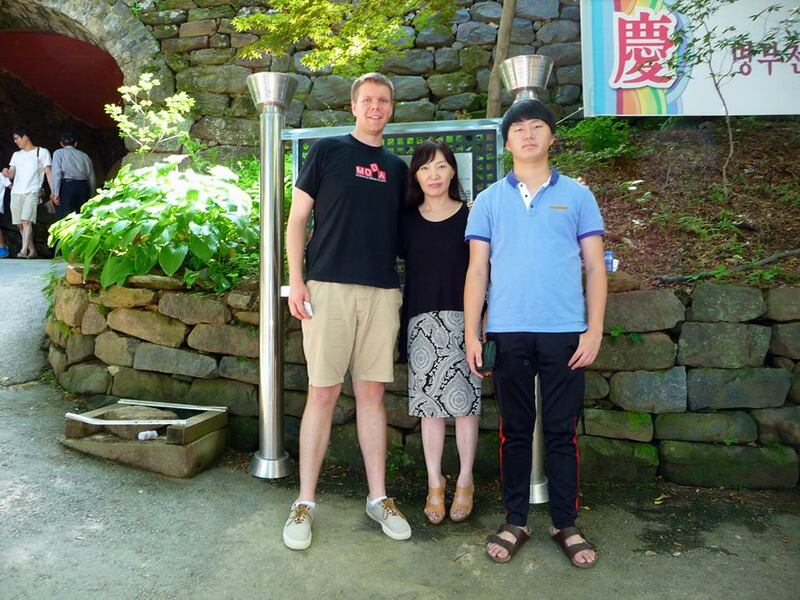 Joseph Schmoll and his Korean home-stay family while visiting one of the many tourist sites around Seoul. POST TAGS: Capitol Hill, Global Leaders, International Exchange, Korea.